Best Smart TV Brand Reviews - How to Choose the Right Smart TV? There exists great potential of the smart TV market, thus all TV manufactures are competing for the top spot. 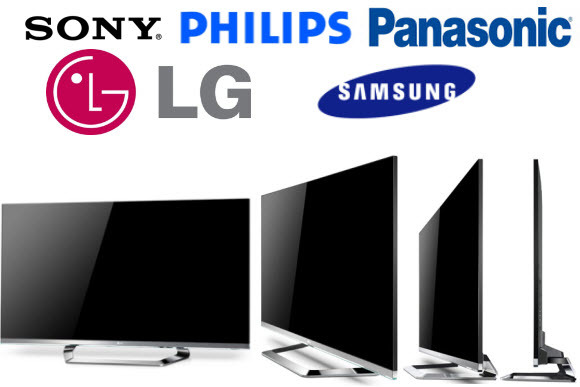 Currently, Samsung and LG walks in the front end and be the most innovative and successful companies throughout the TV industry, followed by Philips, Sony and Panasonic. Samsung first introduced Smart TV (Original name was “Smart LED TV”) which enables viewer to receive information and download apps from the Internet while at the same time watching conventional television programming. Now, all Samsung Smart TVs supports S Recommendation, which suggests content from both live TV and its video-based apps based on your viewing habits. Comparing to other brand, Samsung smart TV has a better system for conducting manual searches. Some of the newest flagships of Samsung Smart TV offer voice and gesture control. LG’s Smart TV platform succeeds on ease of use, its oh-so-simple design helps it get the upper hand. 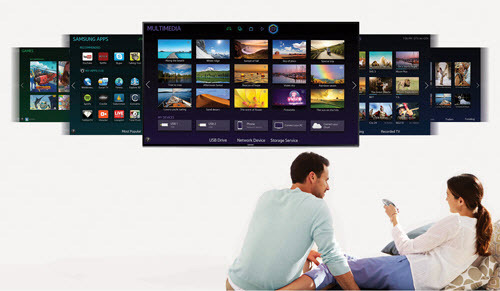 The SmartShare software makes it easy to display any video, photo or music files on the home TV screen. It's beautifully simple, and file support is huge, and it can also offers free LG TV Remote app which enable user puts a live TV picture on a smartphone that mirrors what's playing on the TV. All in all, LG Smart TV is at it user-friendly best. Sony Entertainment Network (SEN) is the official name for the smart TV system employed by Sony on its latest TVs. With a crisp, modern user interface, Sony Smart TV comes up with a handy History option which shows you the inputs and programs you have watched most recently. Sony's free TV SideView app for smartphones and tablets is one of the best presented to date, but to user’s disappointment, you cannot stream video from the TV to your portable devices. What’s more, Sony Smart TV still do not support Voice and gesture controls. Taking design cues from both LG and Samsung, Panasonic conceived the freshest and creative idea in Smart TV - My Home Screen user interface. With My Home Screen, numerous pages can be created with different layouts and wallpaper. Typically, Smart TV only has TV Home Screen, , Lifestyle Screen and Info Screen, but on Panasonic Smart TV, you can just as easily create Tom’s Apps, Mon’s Screen using the free text entry. Part of that, Panasonic supports stream videos, music or photos to tablets and smartphones, and works vice-versa. With a thumbnail, Philips’s system can display both live TV and live video source with sound. Meanwhile, Philips Smart TV has a Tweet button and a fresh design which puts all apps along the bottom of the screen. Philips offers MyRemote app; and its Wi-Fi Smart Screen feature and SimplyShare app helps stream photos, music and videos form TV to smartphones and form smartphones to TV. Once decided on the brand, you have to make decision on which model to choose. Whereas the amount of brands was still manageable, the number of each of their different models is enormous. So, we have to know how to choose the appropriate model. Let's have a look at the following categories we see as the most important. Budget: The most important tip to take into consideration is your budget. The price of Smart TV ranges from $300 (£200) to $10,000 (£6,500), so, you should first decide price position, and then choose the best one. Visual quality and screen size: When considering the visual quality, the frame refresh rates, contrast ratios and viewing angles should be taken into consideration. In general, it is seems that the higher the price, the higher the visual quality. Now, many high-end smart TVs feature 3D and Blu-ray, when you purchase smart TV, you should decide whether these features are highly needed. Also, you should consider the screen size of your smart TV according to your viewing habit. In short, the bigger screen size offers you a better visual experience. 1. Supported apps: You should learn what apps are supported by the smart TV. Choose the smart TV which can support apps you want to add. 2. Smart recommendation: Whether the smart TV support smart recommendation is one of the most important factors to take into consideration. 3. Web browsing capability: Make sure the smart TV you want to buy has its own browser. Also ask if there's a wireless keyboard option. 4. Files streaming capability: Check whether or not the smart TV can stream videos, photos or music to your smartphone, tablets or other portable devices and whether this feature works vice-versa. In the end, based on those guidelines, it is up to you to choose the best solution for your needs. How to Stream iTunes Videos to Smart TVs? iTunes videos are strictly protected by Apple FairPlay so that they cannot be played on Smart TV. In order to play iTunes videos on TV, you should remove DRM form them and convert them to common video formats supported by TV. 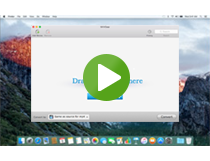 M4VGear DRM Media Converter is the top choice to remove iTunes DRM protection. Download M4VGear for a try. M4VGear can convert iTunes M4V videos to multiple video & audio formats. When you choosing output format as "Same as source for MP4" or "Same as source for MOV", the iTunes videos can be converted at 20X faster speed with lossless quality, multilingual subtitles and all audio tracks kept, including Dolby 5.1 audio track. The version you download is trial version, please purchase the full version with $44.95($49.95) to unlock the time limitation and enjoy the magic power of M4VGear.